Windows 10 has a lot of apps running in the background all the time. Some take-up the system memory, others use your bandwidth. One of these apps is the Microsoft’s OneDrive. If you are not familiar with it, it is an online cloud storage service by Microsoft which is preinstalled on a lot of systems running Windows 10. The Windows 10 app for OneDrive always keeps running in the background taking up your precious bandwidth and increasing the ping. Adding insult to the injury, both the Windows 10 or the OneDrive app don’t give us any option in the system to limit or disable this bandwidth hogging process happening without our permission. Fortunately for us, there are some PowerShell tricks that we can use in order to set up limits for the OneDrive app. Throttling – an upper limit which can be used. Weighting – Sort of like a priority scheme which decides which apps get higher bandwidth when multiple apps are running. In the Processes tab click on the Network column label in order to arrange the apps by decreasing Network usage. 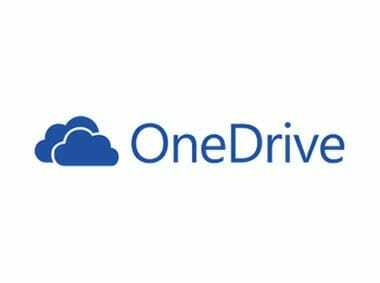 Remember the name of the App (OneDrive.exe in this example). Now press Win + R to open Run box. Type “powershell” without quotes. In the PowerShell window, type “New-NetQosPolicy -Name OneDriveLimits -AppPathNameMatchCondition OneDrive.exe -IPProtocolMatchCondition Both -NetworkProfile All -ThrottleRateActionBitsPerSecond 5000000“ without quotes. This will set the OneDrive.exe process to use a maximum of 5Mbps max from your whole bandwidth. You can use any value here like 1000000 for a maximum of 1Mbps. You can check whether the value is enforced in the system by typing “Get-NetQosPolicy -Name OneDriveLimits” in the PowerShell. In the PowerShell window, type “Set-NetQosPolicy -Name OneDriveLimits -ThrottleRateActionBitsPerSecond 9000000” where 9000000 will allocate 9Mbps from your overall bandwidth for the OneDrive app. If you are not satisfied with the results, you can also reverse the changes by deleting the throttling policy that you implemented via PowerShell. For doing this, type “Remove-NetQosPolicy -Name OneDriveLimits” in PowerShell. By this, you can throttle bandwidth for any app which is taking your precious data and increasing the ping. If you face any problem using this method, use the comments section to tell us more about the specifics of the app and we’ll let you know the process. I created a policy using the powershell . Based on my usage, I’ve seen that this method doesn’t really work well with 3rd party apps. Just for the sake of experimentation, I applied the throttling to the Windows App store, and it worked flawlessly. I was also able to remove the bandwidth restrictions without the No MSFT_NetQosPolicySettingData objects found with property ‘Name’ equal to ‘’. However, I think that this will work by adding chrome to the environment variables in Windows. You can know more about it here. Do let me know if this works for you. Sadly this doesn’t seem to work in successfully throttling the Microsoft Windows Store app in windows 10. Neither command throttled the Store app. Tried rebooting, not change. The policy is in place. I checked. I remember checking Windows Store for checking the download speed after throttling it. Microsoft may have changed something in this time. I’m not aware of any fix right now. Do let me know if you find something. Thanks for pointing out.